Predict, Observe, Explain (POE) sequences provide an important way to enhance students' understanding of important scientific ideas. 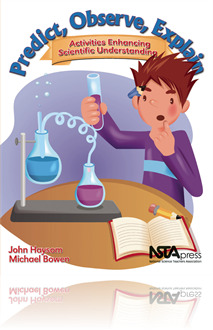 In this chapter, the series of experiments help students understand pressure. The experiments include concepts such as how both air and a column of water can exert pressure, balancing air pressures, atmospheric pressure, the siphon, and Bernoulli’s principle.